08.03.13 Blueberries, chipmunks and hummingbirds! 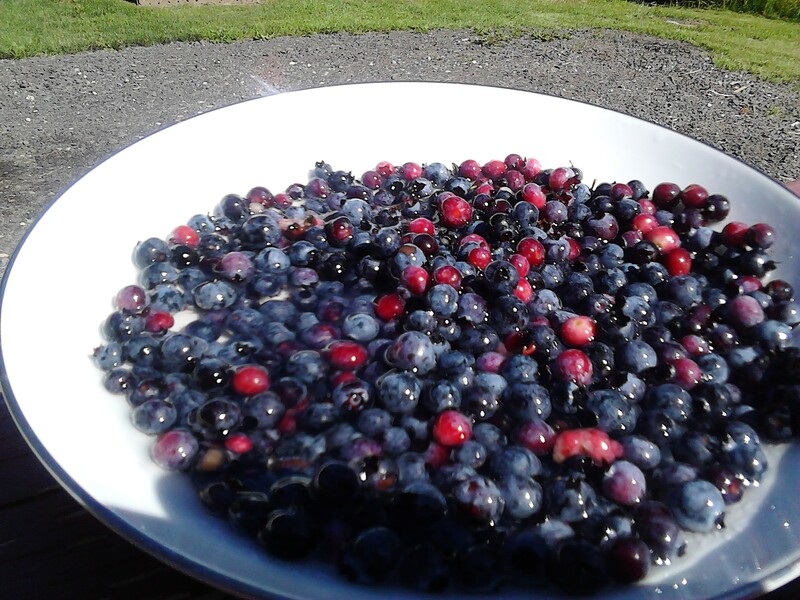 Blueberries, blueberries and more blueberries! We’ve heard about the delicious wild blueberries up here since we first arrived and they have finally ripened and are ready for pickin! Roy and I went out twice this week to pick some. They are much tinier than regular blueberries but they taste just as great. 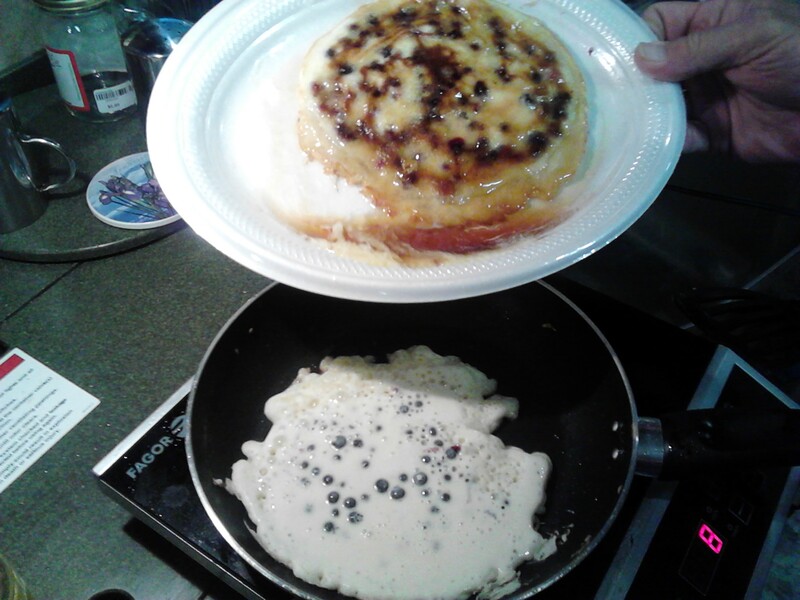 We’ve picked a total of 3 cups so far and have enjoyed some delicious blueberry pancakes and I froze the rest. We’ll be going back this week as the season doesn’t last long and this will probably be the last week. 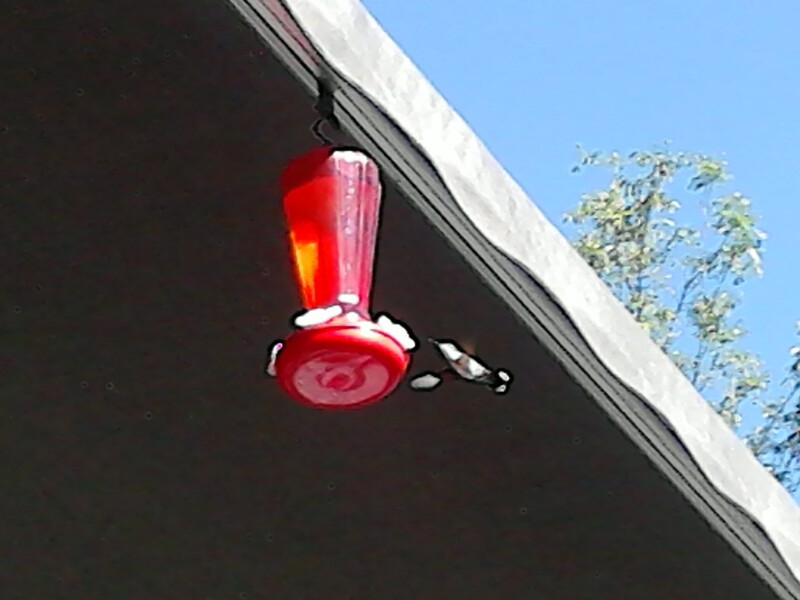 We hung a hummingbird feeder on the awning outside and have been enjoying seeing the hummingbirds come to feed. They also feed off of the hanging plants and make such a beautiful humming sound when they fly. We’ve learned that they are very territorial as they fight off other hummingbirds who happen upon the feeder at the same time they do. I tell them not to fight as they are probably brother and sister and there is plenty for everyone but they keep fighting. I’ve shared with ya’ll about the chipmunks who live here at the resort. 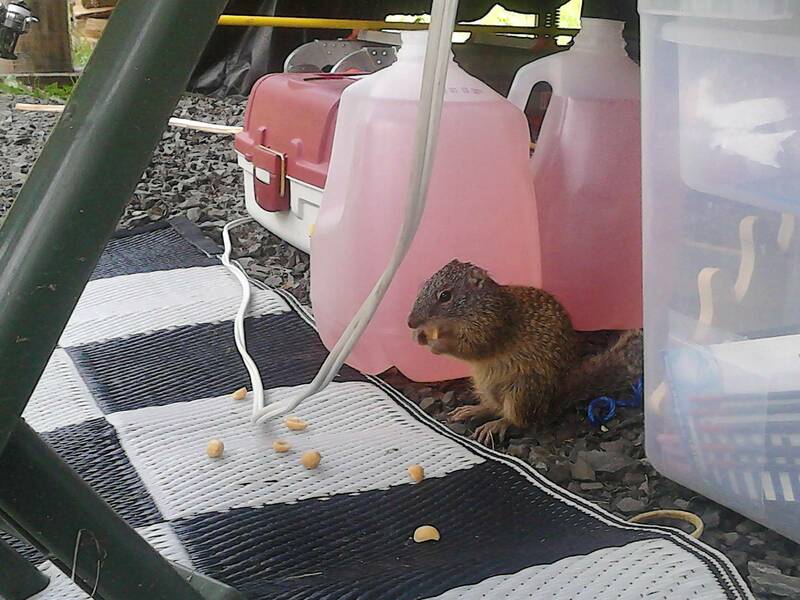 Well there are a couple that visit our RV quite often and like to play around our feet. Yesterday I was outside reading with my shoes off and I felt something tickling the bottom of my feet, when I looked down there was one of the chipmunks nibbling at my foot. As soon as I jumped he scurried off. That shows how friendly they are. Last week one day Roy and I were sitting outside and Roy put a few peanuts on the ground and sure enough two squirrels came to visit. They weren’t quite friendly enough to come up close but we did get pictures of one of them nibbling away at his treat. 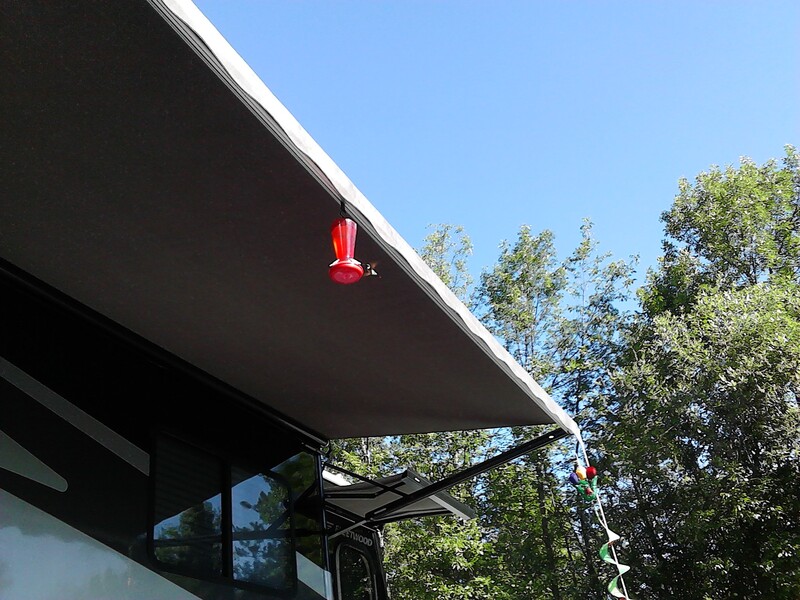 Back at our sticks and bricks house we never would have sat outside long enough to appreciate a the birds and chipmunks and we are really loving this aspect of RV life. If I can stay up late enough for it to get dark and the fire flies to come out again I’ll try to take some pictures of that. They are all around us and really light up the evening with their glows. God’s wondrous work all on display for us to see and enjoy. Tomorrow is Sunday. If you have breath in your body and can walk out your door, make you way to church somewhere tomorrow. God is so good, get to know Him and find out! < 07.30.13 The Gideon Bibles are here!! !